This cloud storage tool allows you to access all of your files from any device, any time, anywhere. This eliminates the need to have access to a physical machine or device with local file storage. What’s more, OneDrive allows file collaboration between team members, meaning multiple people can edit the same document at the same time from different locations. All of the tools included in Office365 can be accessed remotely, and by multiple team members at the same time. This allows for quick and flexible working, with simple, organised collaboration. Permissions can be granted to files too, so you won’t need to worry about confidential documents being viewed by team members, however the most up to date documents are available in real time to those that do have permissions. You can download a local desktop app with a Premium Package, however all packages allow for browser-based usage, meaning you will be able to use the tools on basic and low powered devices while out of the office. Not only is the software easy to use, it’s also a simple task to implement it throughout your business. All of your office software falls under a single licence with a simple, managed subscription service and is very easily scaled should your company grow. You can add users to your packages with minimum fuss, and you bypass the need for an in-house server as everything is hosted by Microsoft. You are able to access files and services anytime, anywhere. 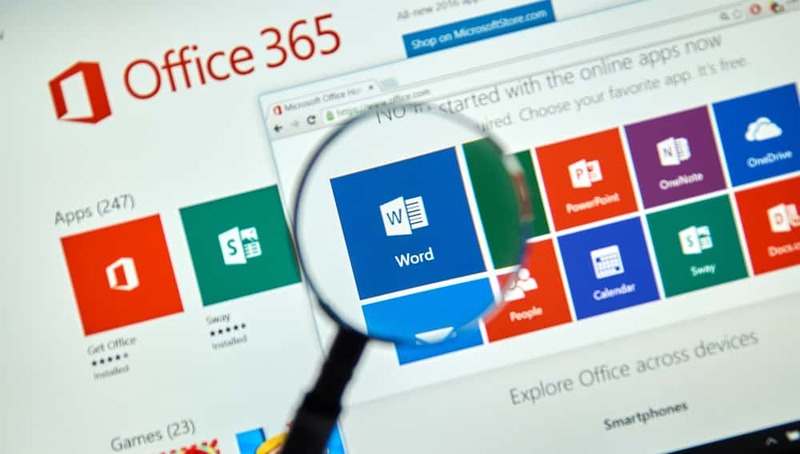 Collaboration is a big selling point of Office365, and the ability to access files and work on them with other team members remotely is extremely useful. With this feature, Office365 includes a service called Teams. This is a chat-based workspace which allows colleagues to communicate with each other and fully integrates with other Microsoft applications. MCi4Service can get your organisation set up and running with Office365 and are on hand to provide assistance once it has been implemented. For more on our services and how we can help you, head over to our Office365 services page. If you’d like to chat to one of our advisors about your software needs, you can get in touch with us here.